As we get older, we often find ourselves getting tired of cooking or eating meals, which can lead to unhealthy snacking or missed meals. But maintaining a healthy diet is just as important when we’re older as it is when we’re younger. We spoke to Melissa Dyer, Registered Nurse and owner of Covenant Natural Health Care, about our dietary needs as we grow older. Q: How do your dietary needs change as you age? As we age, our metabolism slows down, therefore, requiring fewer calories. However, nutrient needs can increase. The body can begin having trouble absorbing certain nutrients (especially if someone is eating a lot of sugary foods, which will deplete the vitamins and minerals). Q: How can you use your diet to maintain your health? The food we eat will either promote life or death in our cells and ultimately, our bodies. What we choose to eat is important for every system that makes our bodies function at any age. 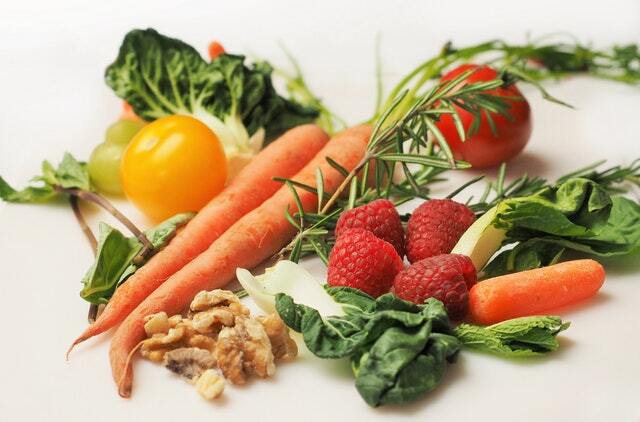 The sooner we start incorporating good nutrition in our lives, the better off we will health-wise in the future. The body is constantly in a state of healing, recovering, and recycling old cells. We need proper nutrition for this process to continue. Q: How can you prepare healthy meals for one without wasting food or money? Meal prepping is a great way to eat healthy without waste. Pick a day of the week you can spare an hour or two, and gather the ingredients for two or three items you wish to eat throughout the week. Cook the items and freeze them in single servings (be sure food is cooled before putting in plastic or store in packaging that won’t leach into your food, like glass). You can also use this time, while the meals are cooking, to chop up fresh veggies and fruits for healthy snacks. Alternate between the meals for lunches and dinners so you don't get tired of eating the same meal. Q: Why is it important for seniors to eat right? According to the National Resource Center on Nutrition, Physical Activity, and Aging, one in four older Americans has poor nutrition. It is very important for seniors to eat a healthy diet to keep their bodies properly nourished and reduce their risk of debilitating diseases, such as diabetes and heart disease. Q: Should seniors take a multi-vitamin? If so, what should be in it? Yes! Everyone needs a good multi-vitamin or supplements to help the body get what it’s lacking in the foods we eat. It is very important to have a high-quality, organic, multi-vitamin that includes vitamin B, B6, and B12. Q: Are there certain nutritional deficiencies that are more prevalent in seniors? Deficiency of vitamin B6 is very common among seniors and it is very important for proper immune system function. B12, calcium, zinc, and vitamin D are also common deficiencies as we get older. It is important to keep in mind that essential fatty acids are extremely depleted from all of our diets, but this is especially important for brain function. Eating a couple of tablespoons per day can decrease the risk of dementia or Alzheimer's. Giving our bodies the proper fuel, no matter what age we are, will help keep them healthy for many years to come. **For informational purposes only, reSettled Life® does not give health advice. Please consult with a medical professional for any health concerns you may have.